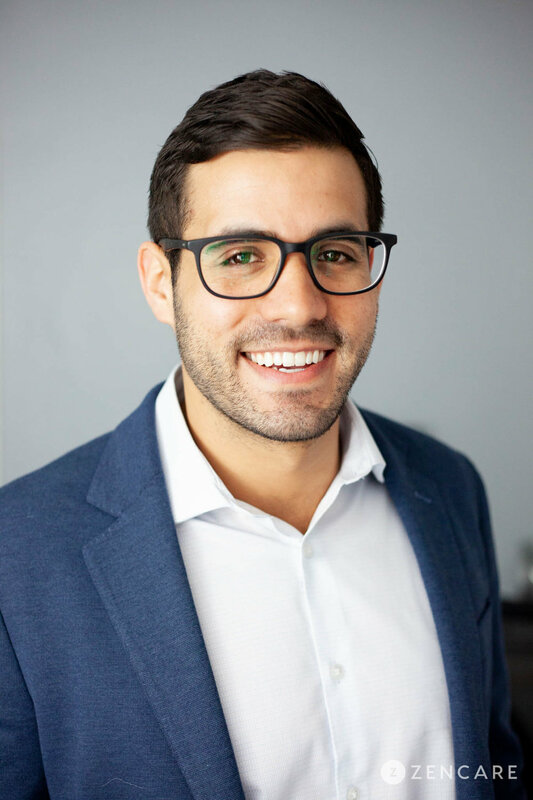 Dr. Alexander Alvarado is a psychologist in Midtown East, NY specializing in phobias, anxiety, ADD/ADHD, peak performance, depression, and mindfulness. He uses virtual reality and neurofeedback training to help clients work through anxiety and phobias. Dr. Alexander Alvarado is a Psychologist in Midtown East, NY specializing in phobias, peak performance, anxiety, ADHD, mindfulness, and depression. He especially enjoys supporting busy New Yorker professionals with high-stress careers, and teaching them ways in which to manage the pressure in a healthy way. Dr. Alvarado's unique expertise is in helping clients overcome phobias through virtual reality (VR) and neurofeedback training. VR immerses clients in a virtual environment with the feared stimulus to challenge their existing thoughts and behaviors. With the latest recording equipment, Dr. Alvarado is able to create a VR video of clients' feared situations, whether it be of a bridge, plane, or subway, and help them address those phobias. Dr. Alvarado also utilizes EEG biofeedback to help clients learn how to regulate their own brain without the use of medication. Neurofeedback has shown to be successful for numerous disorders including ADHD, anxiety, depression, substance abuse, and autism. Dr. Alvarado is also passionate about peak performance coaching. He is dedicated to optimizing clients’ performance whether it be related to sports, academics, or work. 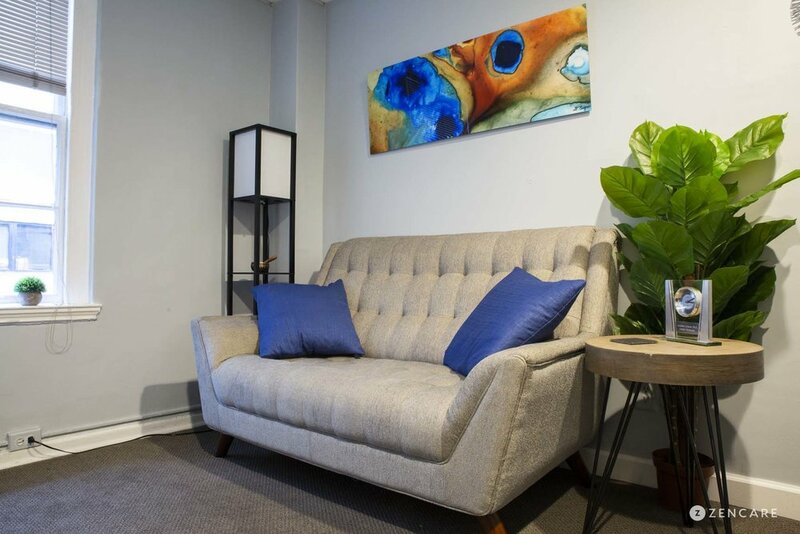 Like with phobias, Dr. Alvarado uses an approach combining cognitive behavioral therapy (CBT), Acceptance and Commitment Therapy (ACT), and biofeedback to help clients reach their goals. 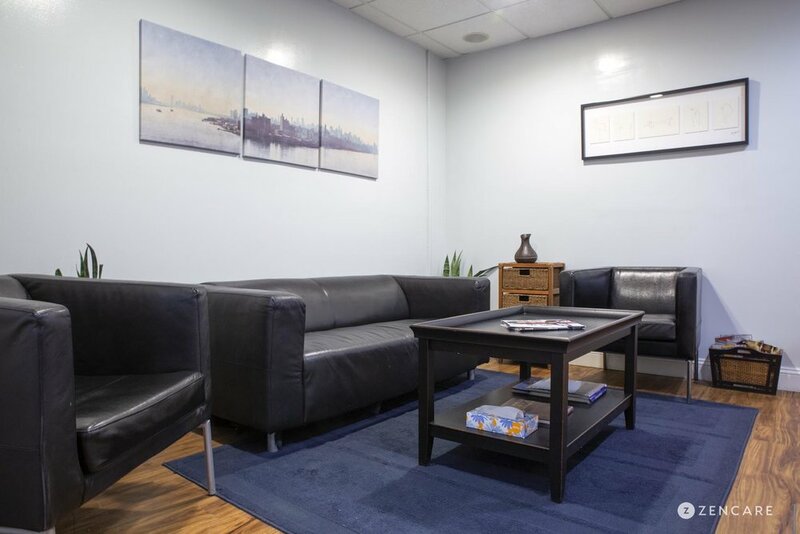 Dr. Alvarado's office is conveniently located within walking distance from Grand Central station. He works with teenagers, young adults, college students, and adults. Dr. Alvarado is not in-network with any insurances. Therapist's note: Dr. Alvarado can provide you with paperwork for reimbursement from your insurance company if you are seeking out-of-network sessions. "Feeling down and anxious can interfere with our ability to think logically and act rationally. This becomes a problem when we try to be productive in work, in relationships, and all around in our everyday lives. Often, it's difficult for many people to even realize when emotions are clouding their judgment. This is why it is extremely beneficial to find a therapist you feel comfortable with who can give unbiased, non-judgmental feedback of your everyday life."